The race for SCCOE's board of education is definitely one to watch. Six people are running for three seats on the Santa Clara County Board of Education, including two incumbents and some controversial challengers. First-term appointee Kathleen King is up against notoriously abrasive Cupertino Councilman Barry Chang in West Valley’s Trustee Area 2. And in Trustee Area 7, which spans South County, Claudia Rossi will defend her spot against one of her most outspoken critics, Morgan Hill Unified trustee Gino Borgioli. 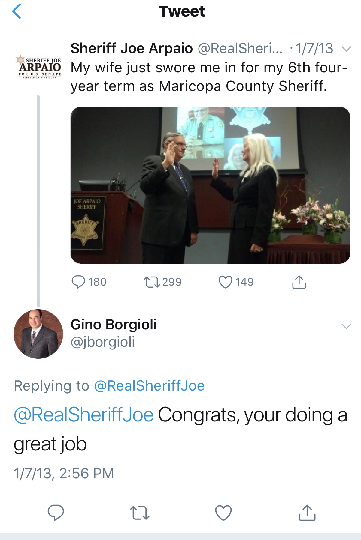 Rossi’s progressive leaning and scrutiny of charter schools and the town’s local school district has often put her at odds with Borgioli, whose reactionary views have made him a divisive figure in the community—especially since screenshots of some of his old Twitter posts began making the rounds this past week. The third county school board seat on the Nov. 6 ballot spans San Jose’s East Side. Initially, it looked like Mt. Pleasant School District trustee Peter Ortiz would run unopposed for the Trustee Area 6 seat since incumbent Darcie Green plans to resign after finishing out this term. But a surprising contender emerged at the last minute. Kiara Kassandra, who works for San Jose Vice Mayor Magdalena Carrasco, filed to run at the last minute, making things more than a little awkward for Ortiz since her boss already endorsed his run. It’s hard to say, since Kassandra didn’t return Fly’s calls and email for comment, filed no candidate statement and has no campaign website. Carrasco didn’t respond to Fly’s inquiry either. But some folks on the 18th floor at San Jose City Hall see Kassandra’s run as more of a favor than a challenge, giving Ortiz a reason to raise campaign cash and solicit endorsements to raise his political profile. Well, Carrasco has $ 24,000 debt charter school consultant John Shallman. Maybe she can work for her staffer and Stallman will forgive it. 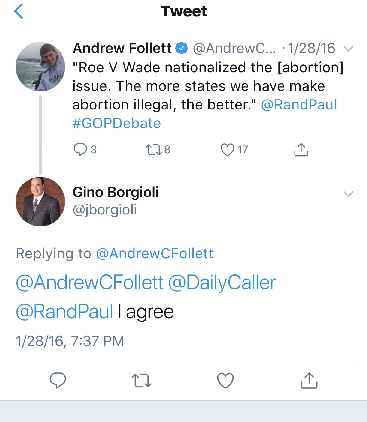 > Borgioli said he agrees with a statement from then-candidate Rand Paul to outlaw abortion. None of the candidates running for the Santa Clara School Board appear to be qualified. I did not know Kassandra’s brother was Adan who works for Rocketship and it makes me wonder if perhaps the Charter Schools will basically have Adan tell his sister how to vote and what to do. Perhaps we should eliminate the Board. The educations of our children should not be left to corporations or people who are not qualified in the education of our children. I strongly feel anyone running for a city, county or state position needs to be fingerprinted, have their last last tax return released, have their education background verified and declare if they have ever filed for bankruptcy. Strong background checks are truly needed. > I strongly feel anyone running for a city, county or state position needs to be fingerprinted, have their last last tax return released, have their education background verified and declare if they have ever filed for bankruptcy. AND . . . include BIRTH CERTIFICATE and immigration history and status. And . . . military records. . . and arrest records . . . and college transcripts . . . and professional licenses and complaints . . . . books and publications. I would back off on releasing tax returns. The tax system is founded on the assurance of privacy for taxpayers, and there are things in tax returns that can be used maliciously against a taxpayer by unscrupulous people. A tax summary is enough. This would go a long way toward exposing the problematic pasts of people like . . . Hillary Clinton (college thesis) . . . John Kerry (military records) . . . Barack Obama (college transcripts, birth certificate) . . . etc. If any elected official is going to qualify for a security clearance by virtue of elective office, then voters should be able to see the security clearance application documents BEFORE the election. I agree that voters should be able to know much more about the candidates they are asked to vote for other than the biased pablum disseminated in the fake news media. Partisan much? WTH, TheFly – did you all decide to become a bastion for yellow journalism? Your article are hit pieces. On School Board Trustees, for God’s sake…..